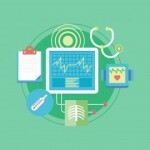 This is a basic online course about Medical Device Development for new professionals or those just entering the field. The material supplies a detailed overview of medical device development from a realistic industrial perspective using recorded lectures and slides. The processes used in companies to conceive and develop devices will be explored from a research, regulatory, clinical, QA/QC, marketing, engineering, and legal perspective under the umbrella of project management techniques. The course is 100% online and modeled after the “Medical Device Development” class taught at the New Jersey Institute of Technology since 2009. Students in this course will gain a broad overview of all aspects for the early phases of device design. This course assumes no prior knowledge of medical devices or their development. New students should be able to understand the entire content with no prior background. 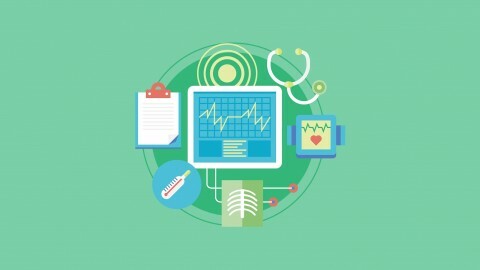 This entry was posted in Courses and tagged how to develop medical devices, medical device, medical device course, medical device development. Bookmark the permalink. Excellent, Taha. Go ahead and click the link to begin taking the course online. I am newly appointed as drug inspector in the LDC listed country Bangladesh.I would like to attend the basic course of medical device development for free.With due respect I am requesting you to consider me as trainee. Not really sure why I am getting a lot of these comments from eastern countries that are asking to take the course. Just take the course. It’s up and ready to go. There is no need to ask for permission or guidance. It’s all online and it’s all there and ready. Go ahead and click the link and begin. I am working in EFMHACA at health institution inspection Team. I want this training to improve my knowledge related to medical device defects and other basic areas concerning to medical device regulation. All you have to do is click the link and begin. Hello, i would like to take the course as well. Can you provide a coupon code to waive the $300? I am sorry, but ultimately this is also a business and some compensation is needed. The rate is quite cheap when you compare it to most any other similar course. I would like to know if we have a certificate after these courses proceeding with the registration through your website (http://medicaldevicecourses.com/). What is its difference comparing with Udemy website? Andre, yes, every course on this site gives a certificate of completion once you have checked off all of the lessons as Done. The courses here are exactly the same as the ones on Udemy, except they are cheaper.